Provide comfort for the family of Paula Lambertz with a meaningful gesture of sympathy. 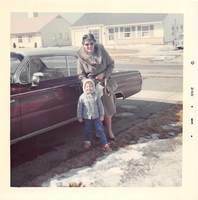 Paula Lambertz, 94, of Streamwood since 1959, died Tuesday, February 26, 2019. Born November 13, 1924 in Aurach, Tirol, Austria. 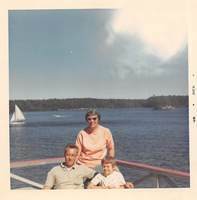 Paula and her husband Johann of Kitzbuhel, Austria came to America in 1957 and soon went to work for Replogle where she installed light bulbs in world globes. 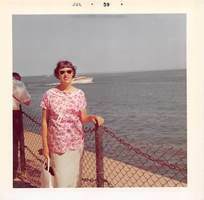 She was a member of IBEW Local Union 176 Retirees Club. Paula loved to bake, especially for the holidays and people looked forward to her cookies. Paula loved going to Fermilab and looking at their bison or touring the Morton Arboretum with her daughter. She enjoyed watching birds, feeding squirrels, gardening flowers and just enjoyed nature. Paula was also never known to pass up a strong cup of decaffeinated coffee, fine German chocolates or a British sitcom or mystery. She will be missed by her family and friends. Beloved wife of the late Johann; loving mom of Paula Ann Lambertz; dear sister of 4. Visitation 2:00p.m. to 5:00p.m. Saturday, March 2, 2019 at the Countryside Funeral Home and Crematory, 1640 S Greenmeadows Blvd, Streamwood. Following services cremation will be private at the Countryside Crematory. In lieu of flowers, donations to the Fox Valley Wildlife Center, P.O. Box 385, 45W061 Route 38, Elburn, IL 60119, would be appreciated. Growing up next door to the Lambertz family was truly special. So many memories of beautiful birds, fresh baked desserts, and their Scottie. Even in her nineties she offered delicious snacks and was full of joy. Sending condolences across the miles to Paula Ann hoping that warm thoughts, prayers, and memories are calming at this time.